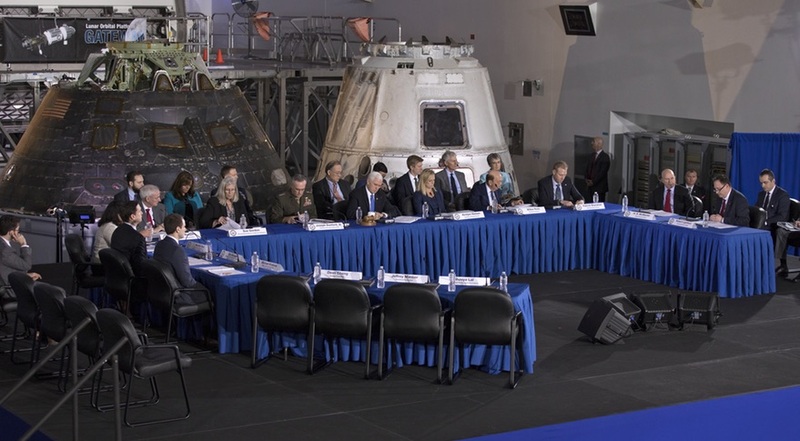 A panel discussion on national security space at the Council’s Feb. 21 meeting at NASA’s Kennedy Space Center focused primarily on the growing capabilities of, and the growing threat posed by, China’s space efforts, including the development of counterspace capabilities that could disrupt American space systems in the event of a conflict. “Russia and China are each developing counterspace capabilities to use during a potential future conflict with the United States to reduce U.S. and allied advantage and effectiveness, eroding our information advantage,” said Susan Gordon, principal deputy director of national intelligence. She singled out China’s “impressive rise — and it is impressive — as a space power,” citing a more than ten-fold increase in number of operational satellites since 2000 and development of advanced technologies, such as tests of quantum satellite communications. Dean Cheng, senior research fellow at The Heritage Foundation, also discussed the threats posed by China’s space capabilities, both technical and organizational, during the panel discussion. “It is now exploiting not only new technologies to expand its space capabilities, but also undertaking new organizational approaches and innovations,” he said. He noted China’s space program was largely run by the military, including much of its industry. “China’s space industrial complex is not so much a revolving door as a broad atrium for Chinese aerospace engineers and managers amidst all these state-owned enterprises, and the result is far closer to a single integrated space enterprise, with relatively few demarcations between the military and the civilian,” he said. That also applies to the growing number of private space ventures in China that, at first glance, appear to be separate from that larger military-controlled industry. “Given the interest in melding civilian and military capacity, as well as past evidence of behavior in the telecom sector, it is vital to recognize that these private firms, at the end of the day, respond with alacrity to central government directives,” he said. Manber called for a “stern but fair” agreement with China that could allow American space companies to do business in China, citing “legitimate concerns” about technology transfer that today bar such activities. Later in the hearing, U.S. Marine Corps Gen. Joseph Dunford Jr., chairman of the Joint Chiefs of Staff, asked Manber about how to balance concerns regarding technology transfer to China with opportunity to cooperate with Chinese businesses. “It’s very difficult, in our industry, to strike the right balance between competitiveness and assuring that America safeguards its technology,” Manber responded. He noted his company worked closely with NASA to ensure no technology transfer took place when flying that Chinese payload. He added that other countries have been flying their satellites on Chinese rockets, including those built by Canadian and Danish companies that flew on recent Long March launches. “As the president has said, we want to revamp and reconsider our relations with China, and I can see no better opportunity than to do it here, where we’re not involved today but we’re clearly leaders of the free world,” Manber said.